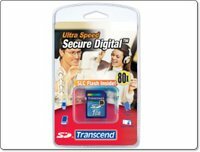 When choosing digital memory nowadays we are spoilt for choice, so to make your decision easier I took a look at two offerings from Transcend. I chose to look at this particular brand on four counts, performance, reliability, price and the warranty. Testing the cards in the JVC Everio was a different matter. I used them for the still capture feature of the Everio. Both cards really performed almost identically, with differences in write speed being less apparent, really down to a split second. Transcend have a good track record for the reliability of their cards. In my short term test I experienced no write or read errors at all, I am hoping that I can hang onto these cards a little longer and report back on how things are going three months down the line. Pricing is also very competitive, if you jump down to the end of this review you will see just how keenly priced they are. 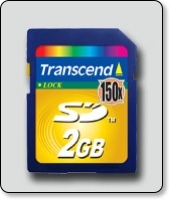 The lifetime warranty is also difficult to better, rest assured that if you treat your memory card well and it develops a fault, Transcend will swap it out. Now there is a difference in pricing between the 80x and 150x speed, so where should your money go. Well, my advice would be that if you are buying for a consumer level digital camera, the 80x speed is sufficient and will save you a little money. If performance is paramount, for a pro camera or video playback, then it is definitely worth spending that little extra on the 150x speed version.